Aftermarket Modifications: A Do or a Don’t? Are aftermarket modifications a good idea or a bad idea? As a company that specializes in pre-owned cars, this is a question that comes up a lot. We take in customer trades all the time and help them get into the car of their dreams, whether its a 1987 Ferrari Testarossa or a later model Ferrari California, our mission is to do whatever we can to make the car-buying (or car-selling) experience enjoyable and exciting. 1. Not everyone wants the car modified exactly like someone did. If they are looking for a particular year, make and model, more often than not, they are going to opt for the one that doesnt have a ton of add-ons, one that they can modify themselves or have in its all-original condition. 2. There is no way to tell how these options were installed or who installed them. Records of installation can be provided, of course, but that doesnt always settle the stomach of the person out-of-state who is about to spend a ton of money on your car. So, in short, we are not saying there is anything wrong with adding aftermarket modifications to your car. We are just pointing out that as an investment, they are not necessarily a wise investment choice, because at the end of the day, the car was tailored to your wants and needs, and not the next owners. 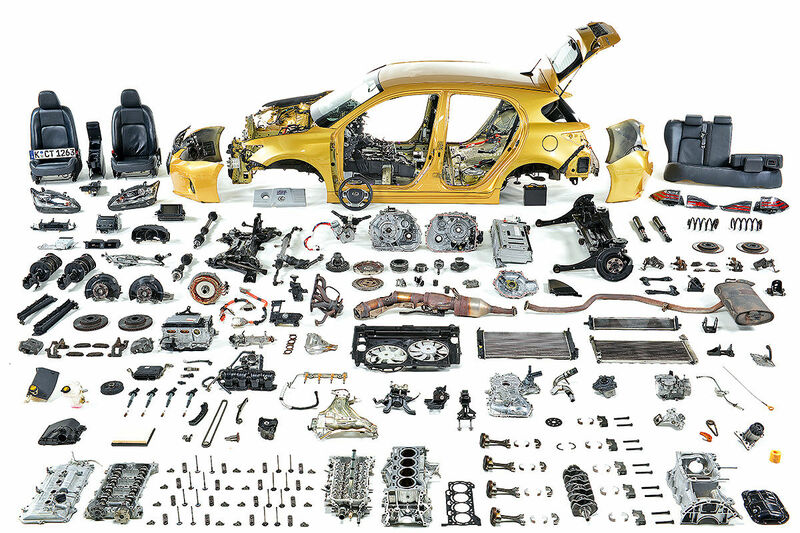 This brings us to the next question that comes up frequently, which is, when it comes to fixing and maintaining your car, are OEM parts or aftermarket parts better? An aftermarket part is one that was not sourced or made by the manufacturer. In our experience, aftermarket parts tend to get a bad rap, probably due to lack of knowledge or understanding, and are often thought of as cheap products that will cause more damage to your car than good. We have found that there are plenty of well-made aftermarket parts and products available if you take the time to look. The key is to be familiar with what you’re looking for, and if you’re not, find a mechanic you trust to help guide you. Some advantages to aftermarket parts are they tend to be less expensive, there is more variety and better availability, and they can often be of equal or greater quality than OEM parts (this is due to aftermarket companies reverse-engineering parts to work the weaknesses out). Something to look out for with aftermarket products is the quality first and foremost. A disadvantage to non-OEM parts is that there is an overwhelming selection, so stick with aftermarket brands that you are familiar with or that come recommended by someone you trust to ensure the quality is good. As far as OEM parts go, there are definitely some advantages/disadvantages to be aware of. The great thing about OEM parts is that they are made by your vehicle’s manufacturer, so they match what your car had originally. This takes away the stress of finding a good part for your car and assessing its quality, since all you have to do is call the dealership and have them handle it. This does have its drawbacks, however, which are that they tend to be more expensive (about 60% more expensive), although dealers are making adjustments to compete with independent shops. Another thing to watch out for is the quality. The idea that aftermarket parts are cheap and inferior is not always the case, so when buying an OEM part you may be paying extra just for the name. The manufacturer can make mistakes in part production, evidence of this is the number of vehicles called back due to defects. Important: When it comes to collision repair, we always advise sticking to OEM parts, since aftermarket body parts may not fit properly, and can affect your cars value when it comes to resale if they are aftermarket. So, in short, the consensus seems to be that while aftermarket modifications do not add value to your car in terms of resale, it should not deter you of adding what you want to your car. Just something to be aware of when determining the cars price when you are reselling. As far as aftermarket parts go, as with anything else, do your research, and you will find the right fit for you and your car for the right price.